Recently, I did a post about feather diys. After seeing all the beautiful diys, I decided to come up with my own feather project. 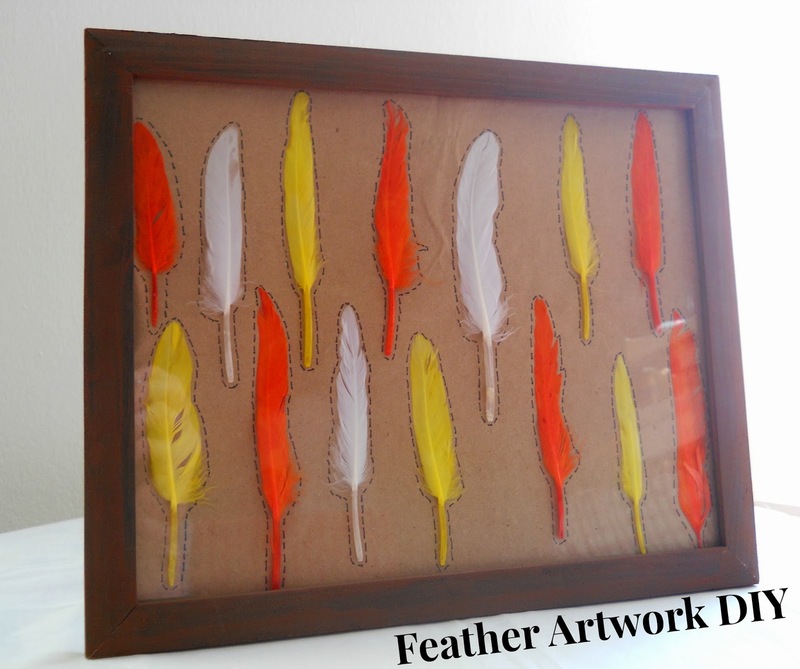 Just in time for Thanksgiving, this feather diy would look really pretty sitting on a table or hanging on your wall for autumn decoration. The project is really easy to make and totally customizable to fit any style. Step 1: Cut a piece of brown craft paper that will fit inside your frame. Then take your frame apart and glue the paper to the back of your frame. Step 2: Arrange your feathers however you want, then glue them down with some tacky glue (picture 2). Step 3: When your feather are dried, take your marker and make dash marks around your feathers (picture 2). Then put your frame back together and your done!